A beautiful winter coat that is warm and stylish! 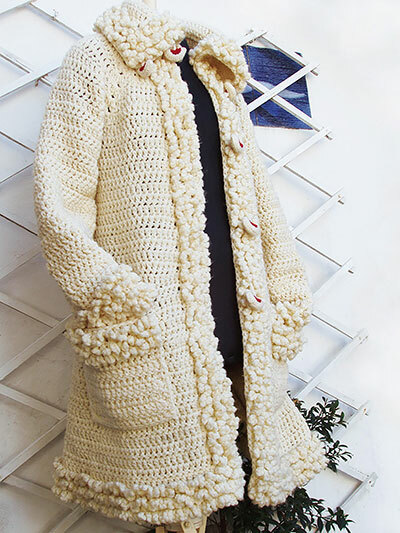 Worked from the top down, this basic coat is quite simple and is made using double crochet. 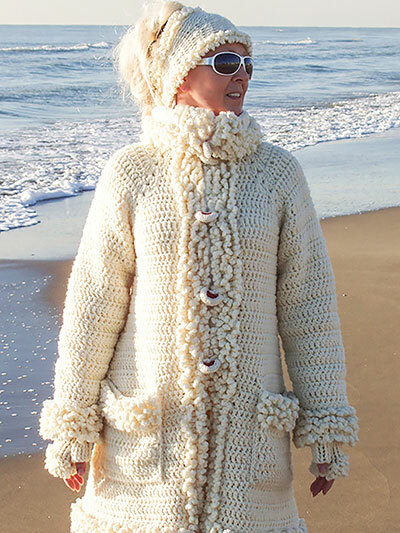 The "sheep fur" is made in a loop stitch called Astrakhan. 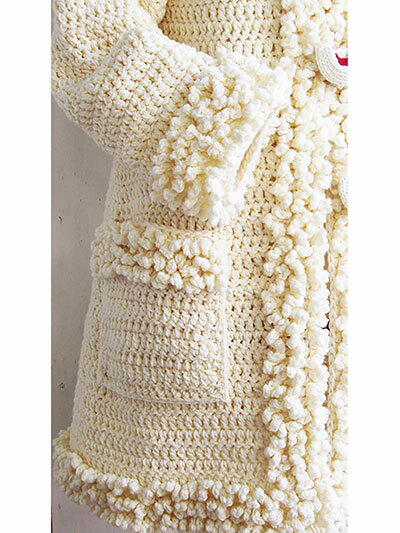 Made using bulky-weight yarn plus a small amount of DK-weight yarn for the buttons. 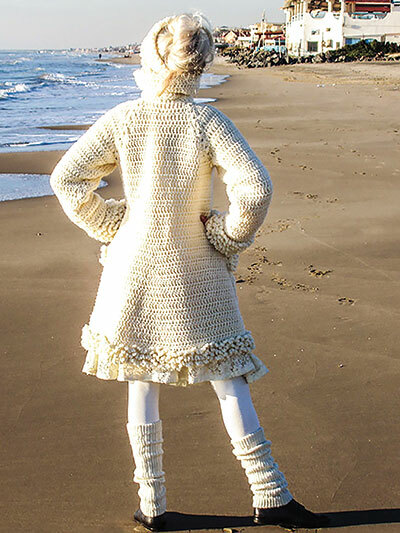 Pattern includes written instructions, symbol crochet, close-up photos and tutorials. Size: S: 34"-36" (M: 38"-40", L: 40"-42"). 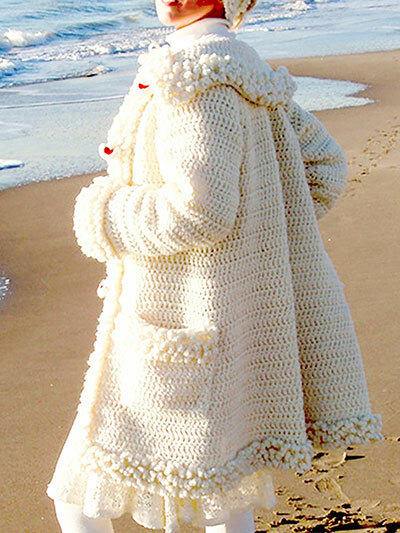 Loooove this coat. Ingunn Santini nailed it. Great pattern. Author available for any help. Videos, pictures, charts.... I did mine in large dolphin blue.